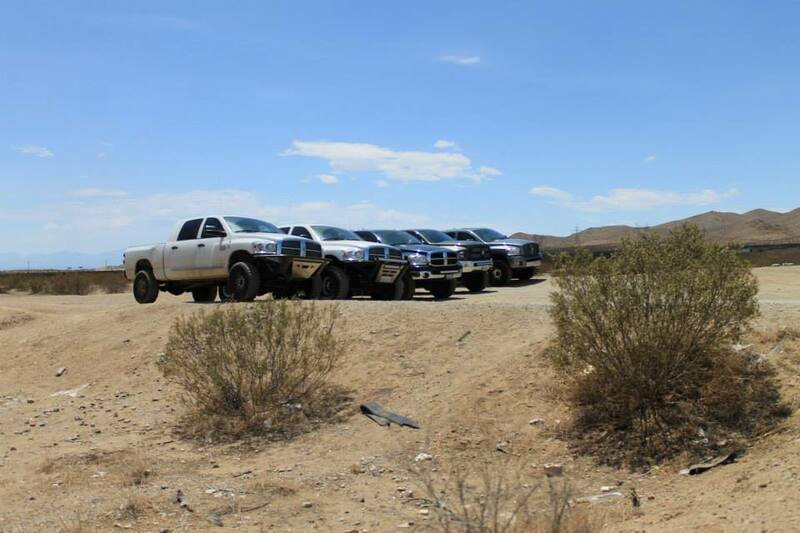 On Sunday we had the opportunity to head out to Barstow, CA with some friends and let our trucks stretch their legs. It was a mad dash Sunday morning to get everyone's trucks ready from Paul switching out his Carli Progressive Spring Pack for Carli Long Travel Leafs to Pat making some last minute tweaks on his exhaust system. For a last minute run, we had an excellent turnout of five trucks. Once everyone arrived, it was time to head off into the California desert. 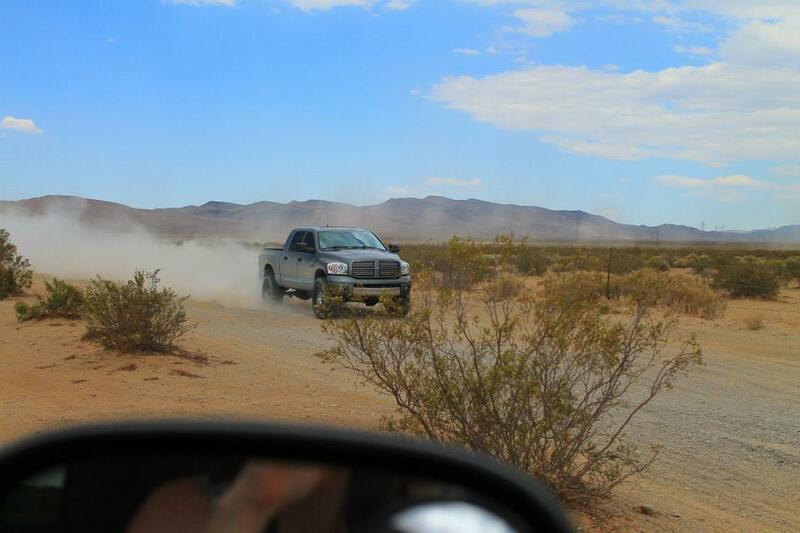 Barstow is a combination of power line roads, large washes filled with sand, large roller whoops, and even some hill climbing. 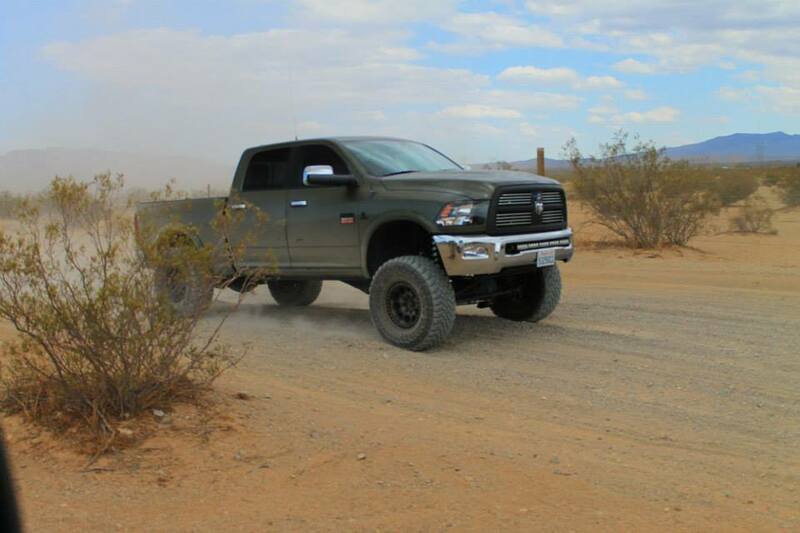 fortunately, Matt's Carli Dominator 3.5 6 inch-equipped monster was well equipped for the terrain. 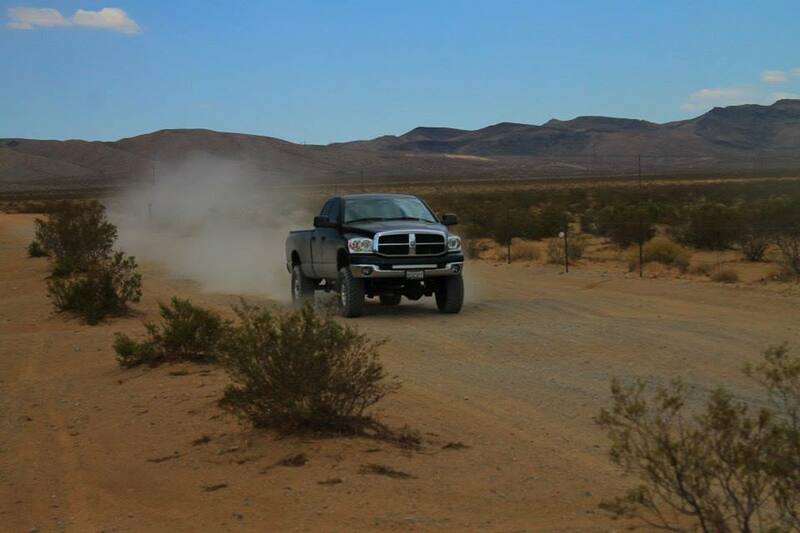 Roads that normally would send a truck bucking are conquered with ease. 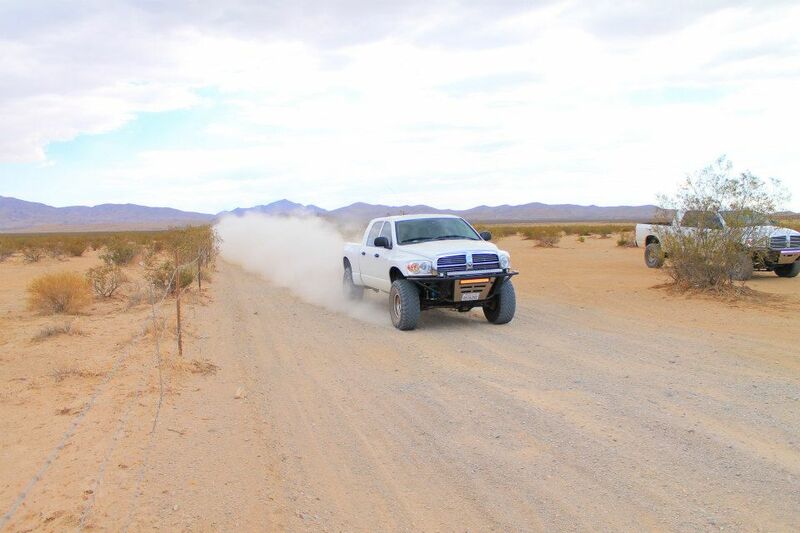 Carli's Bilstein 2.65 ACV Suspension System packs a surprising amount of punch. For a shock combination that provides excellent on road characteristics, this setup doesn't disappoint in the dirt either. Paul's Mega Cab testing out Carli's long travel leafs along with his 3.5 Dominator system. Pat's truck performed flawlessly. 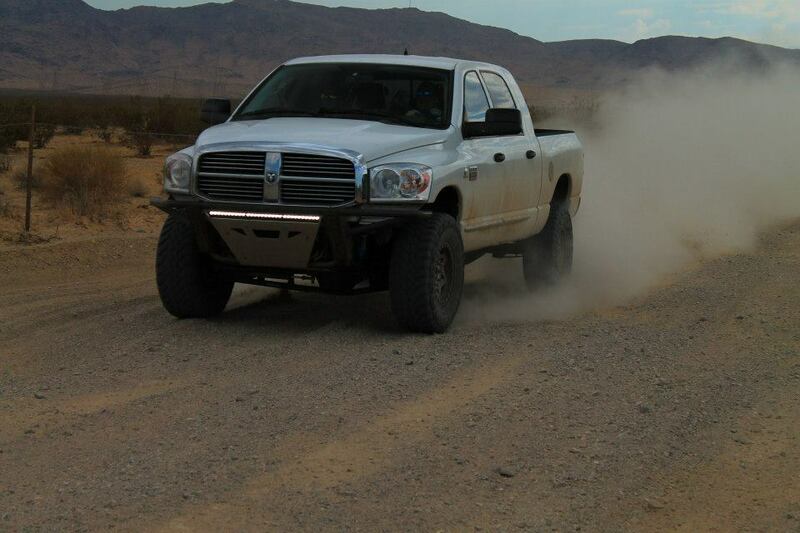 For a rig that's lived in Baja for much of its life, this truck looks and handles great! 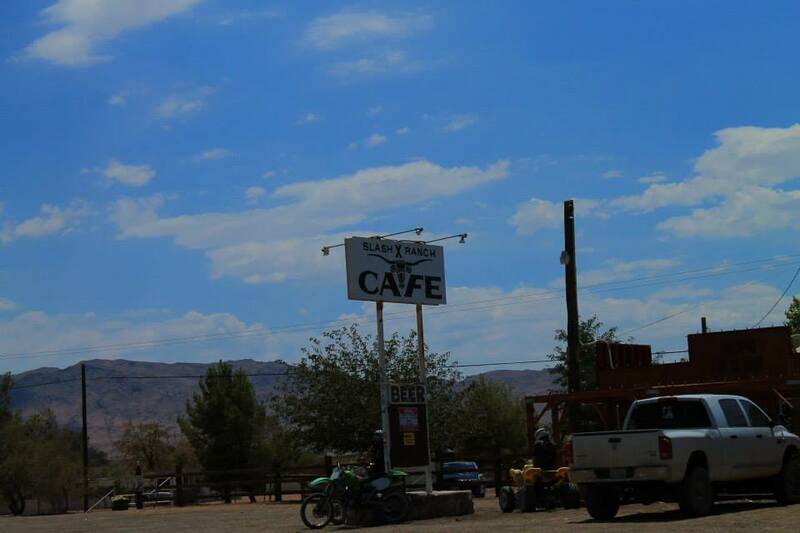 Once lunchtime came around the choice was clear - Slash X Cafe serves as an oasis in the desert for off roaders looking to grab a bite to eat. After some food and drinks with friends, we were off again. Here is a brief video of Pat's Mega Cab making a pass. 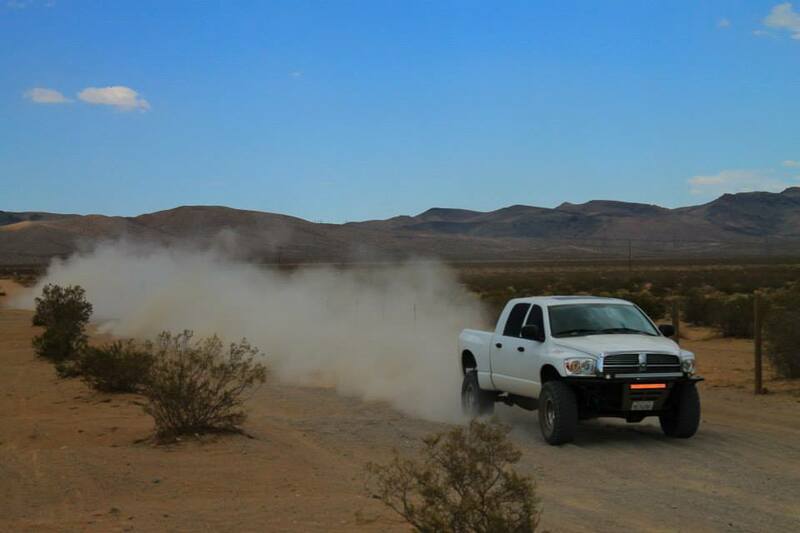 Robert's truck is an excellent illustration of what these trucks are capable of with a proper suspension setup. This truck is Robert's daily driver, tow rig, and weekend toy. With Carli's Performance 2.5 Suspension System, this truck goes everywhere while providing excellent in-cab comfort. As we were shooting picture and video footage of the trucks, something seemed strange as Matt pulled up. His truck was much louder than before and it wasn't long before someone realized part of his exhaust was missing. Resting a few hundred feet away was the back portion of Matt's exhaust - completely mangled. Minutes later we had the exhaust strapped in the back of Matt's truck and were on our way. Overall, we had a great day with friends and family and can't wait to return soon! Photo credit goes to Amanda. Thanks for the pics!